Wings, Etc. 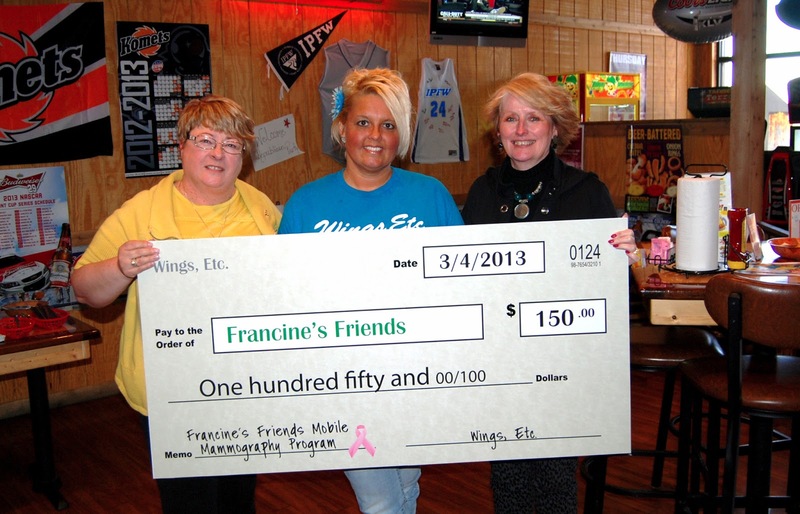 and Lucky Harley-Davidson recently presented monies collected to benefit women’s health in northeast Indiana to both the Parkview Comprehensive Cancer Center for breast cancer outreach and to Francine’s Friends Mobile Mammography for screening mammograms. 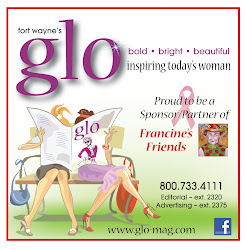 "As local businesses in Fort Wayne, partnering with Lucky Harley-Davidson gave us a great opportunity to support and create a bond with those who have been affected by breast cancer," said Shaun Gray, General Manager of Wings, Etc. "It was wonderful to see our customers and the community come together to support this cause. During the month of October, Lucky Harley-Davidson and Wings, Etc. partnered to sell "Save 2nd Base t-shirts", and also donated proceeds from breast cancer bracelet sales from the month of October. The Francine's Friends Mobile Mammography Coach was onsite at Lucky Harley-Davidson on October 13, 2012 to provide mammography screenings, and then led a parade of bikes out of the parking lot to help kick-off the Breast Cancer Awareness Day and Harley Ride. Click here to view photos of the 2012 event. Thank you to our friends at Wings, Etc. and Lucky Harley-Davidson!